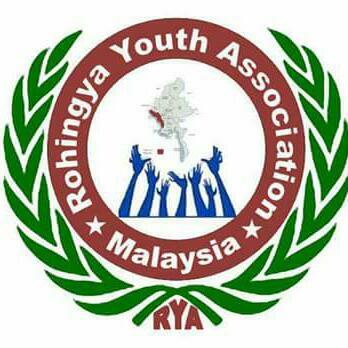 ROHINGYA YOUTH ASSOCIATION: Violence continues in Arakan state: "UN's interventi​on is seemingly not effective"
Violence continues in Arakan state: "UN's interventi​on is seemingly not effective"
"UN's intervention is seemingly not effective"
The government authorities do not installed Law and Order for Rakhine people who are continuously doing crimes. A few Rakhines those arrested from Sittwe, Kyauktaw and Maungdaw were also released after days. Beside, police authority are arresting Rohingya elders and youths from every village of Sittwe, Maungdaw, Rathedaung and Kyauktaw townships and framing them with false charges. UN's intervention is seemingly not effective therefore Rohingya people are continued to face tyrant attacks of Rakhines and arbitrary abuses of local authorities. While there is ongoing heavy raining and flooding, it is more than two weeks now they are confined by military guards without supply of food and medicine. A relief blog- OCHA's report states that the WFP has provided 725 metric tons of food commodities (rice, pulses, oil and salt) to over 92,000 affected people in five townships, Sittwe, Pauktaw, Maungdaw, Rahtedaung and Buthidaung. The government report also shows that it has received donation nearly 200 millions Kyat for Arakan crisis. However, all aid supplies are reached to government designated relief centres where authority places perpetrator Rakhine family members only. Despite the INGOs have well experiences about the nature of government authorities, they have not yet ensured aid delivery for homeless victims of Rohinngya. Similar complaints received for the past Cyclone Giri in Oct 2010 that hit along the coastal areas of Kyaukfru, Myebon, Myinbya, Pauktaw townships where fishing villages were mostly affected. Muslim victims from fishing villages were barred from receiving aid and assistance by local in-charge staffs who monitored distribution aid. Rakhine people who involved directly in recent riot of SittweWe had escalated a number Rakhine people who involved directly in recent riot of Sittwe. Again these people are warmly received gratitude in a Face Book page of a Rakhine. They are; RNDP psd Dr Aye Maung, Tat Thu Aung- Kuan Yat Society, chairman U Shwe Tun Aung- the Merchant Association of Arakan, Rakhine Rakhita Association, Sayadaw U Pinya Zya Ra. And the rest who visibly involved are; 1)Shwe Tha Zin Hotel owner Tan Shwe, 2)Kiss Hotel owner Kyaw Thein (led in Nazi and Santoli), 3)Win Maunk umbrella shop owner, 4)Aung Thu Kha photo shop owner, 5)Shwe Nyo Nyo loterry and medicine shop owner, 6)Workers of Sein Video Hall, 7)U Maung Tan Hlaing from ward(2/Kha) of Min-Gan village, 8)Chairman U Tan Win of Aungmingala quarter, 9)RNDP member Balagyi, and 10)Ko Thein Shwe (weight player). The source confirms that U Maung Tan Hlaing is who began the riot in Sittwe and now taking refuge in Rwa U monastry of Min Gan village. Update: Violence continues in Arakan stateAkyab/Sittwe city, 29 June, FridayThere are total 172 Rohingyans involving under age detained in military camp. The source confirmed all of them were brought from Rathedaung township after tortured in the hands of Rakhines from Ku Taung. 30 of them were reportedly taken to unknown. They were neither sent back to Rathedaung nor transferred to custody. One of them was died yesterday and burried at Thakkay Byin village (Sakki Fara). Afternoon: Bsc Hla Maung's house in the Ambala area (down town) was attacked by a group of Rakhines and looted all goods and cash when Police and Paramilitary forces are surrounding from out side. Six international and local staffs of INGOs, were arrested. The source said they are aid workers from UN organization, AZG and WHO. Thier arrest could be suspect of whether they have any recording devices. Morning: A Hindu woman came out from Aungmingala area, was beaten by four Rakhines in the present of police. Her live was spared after they knew she is not really a muslim. 11:50am: The 700 years old ancient mosque (Myoatma Jarmae Mosque) situated between the market and Manaegya Fara, was destructed by a group of Rakhines. At the time of military forces arrived there after informed by a Khami (tribe people), its walls and veranda have been destroyed. 28 June, Thursday4 homeless Rohingyans of Sangadaung village (near Sugar Mill) were died from starvation and lack of shelter. The Rohingya own lands in this village were also replaced by Rakhine people themselves. Rohingya people own shops in the market of Kyauktaw were seized by municipal authority. The valuable things were taken away by Rakhines and proudly saying that all resources and belongings in the territory of Rakhine state are their own. Two homeless villagers from Khaungdok Alay Kyuan (Barua Fara) were died in the flood of Kaladan River. One of them is identified as a brother of Mv.Habi who live in Denmark. The first chart is re-prepared list of causalities in Sittwe. As, latest escalation from Sentoli village says number of houses burnt in second attack was added to total about 180 and death tools added to 50 total. The remaining half-destroyed mosque was also demolished by authority in the past four days. The second chart, is list of causalities in Kyauktaw, Rathedaung and Rambre.